Clive Evans scored 63 for Whittlesey against Ufford Park. Bourne skipper Peter Morgan and Newborough’s Andrew Rowland are top of the local cricket charts this week. 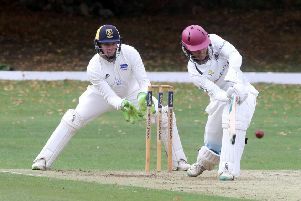 All individual scores of 50 or over and all bowling figures of five wickets or over are included in the Peterborough Telegraph providing scores have been included in the printed version. Stuart Dockerill claimed 5-15 for Castor against Weldon.